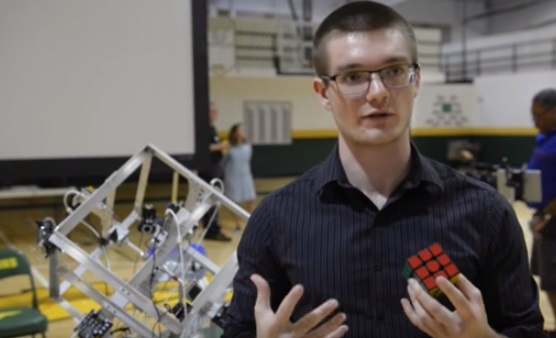 #TVisCOOL: Zack Gromko Solves a Rubik’s Cube in 2.39 seconds using a robot! Zack Gromko Solves a Rubik’s Cube in 2.39 seconds using a robot! Cant believe it took so long! Zack Gromko sets a Guinness World Record mark at Saint Stephen's Episcopal School.